Welcome to The Holiday Inn Summit County! 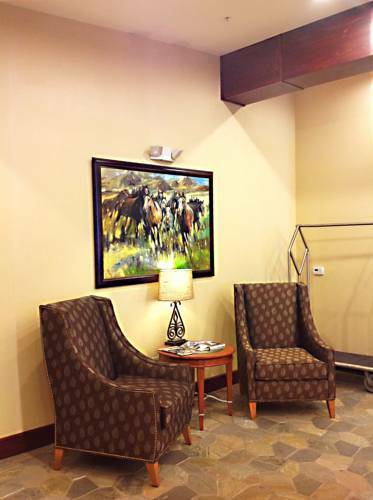 The Holiday Inn Frisco - Breckenridge is the perfect location for your vacation, business meeting, or corporate event! We are conveniently located off I-70, and only 90 miles west of Denver. The Holiday Inn Frisco - Breckenridge is surrounded by many different outdoor activities which includes: world class skiing, motorsports, hiking, biking, fishing, golf and many other activities! There is something for everyone in the family. We are only one mile to Friscos historic Main Street lined with fabulous restaurants, shops and nightlife. The Sporting News Grill offers a delicious breakfast each morning so you can start each morning right. After exploring the area, make sure to relax in our hot tub, pool and dry sauna. You can spend a relaxing evening in the Sports Grill or workout in the Fitness Center.